-Player and NPC gyms being worked on! Have you ever wanted to play Pixelmon on a public server, but still get the feeling of a nice community? PokeGeared is a new server which offers one of the most community oriented server experiences possible. How we do it? We aren't in it for the money, we made this server for players to enjoy, not to throw money at. Though we do offer paid ranks, the profits go back into the server to continually improve. 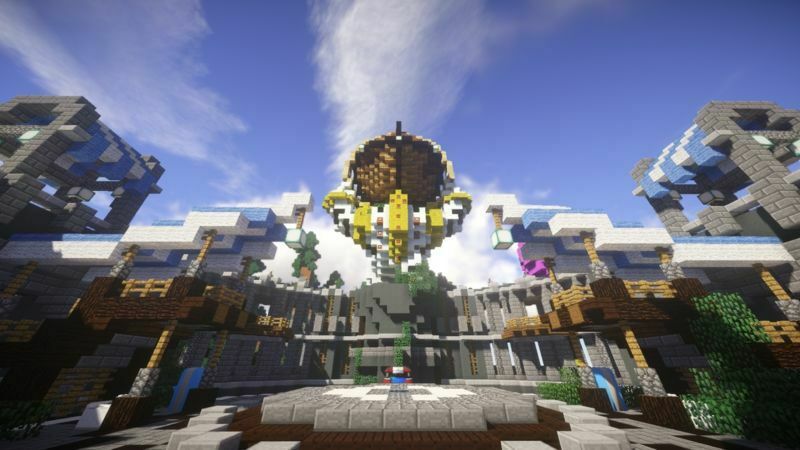 We offer various minigames which anyone can compete in to earn great prizes! Parkour, Easter eggs, Pokémon themed riddles, and even more! We have professional builders who create mind-blowing structures with Easter eggs hidden throughout. If you are a Poké Pro, you could apply to become a gym leader! You can challenge and lead a choice of eight professionally built gyms to gain badges in order to show Pokébattling skills! Join now! Server has friendly staff and bihourly events! Definitely worth the time! Very fun. Well the server is a different type of good, although the owners aren't VERY serious it makes the server a good place to chill. Also pretty high shiny rate. 9/10 needs more memes. Oh, you're the guy who proceeded to use an AFK machine, curse me out in PMs, and then get properly banned. Nice.